Side and top grooves allow multiple containers to be fastened together and easily stacked. 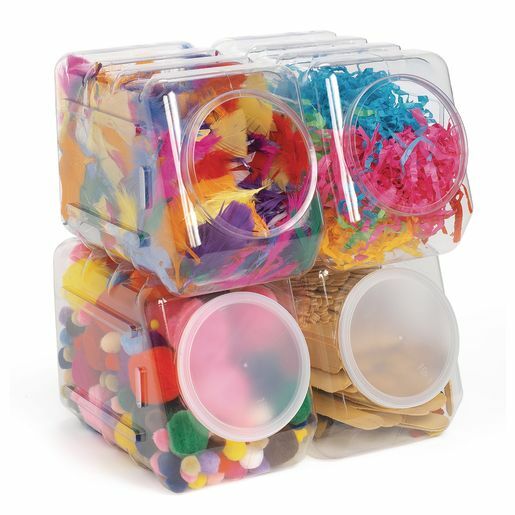 Enjoy the convenience of having your arts and crafts supplies easily stored and accessible. The container is made of FDA approved material. Materials not included. Each container measures 5 1/2"W x 9 1/2"L x 6 3/4"H.